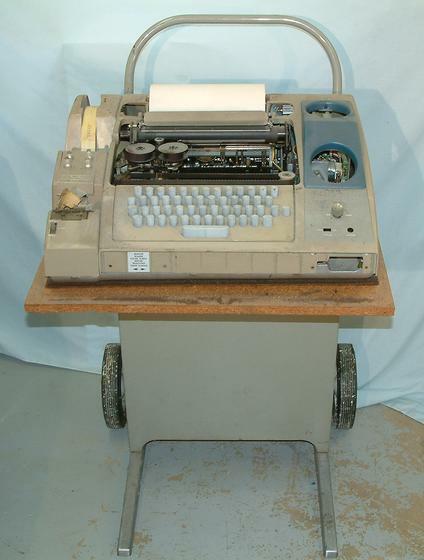 Front view of unrestored teletype with sound cover removed. The empty holes on the right is where an acoustic coupler and modem would have been. It was removed before I got the teletype. That appears to be the only major component missing.